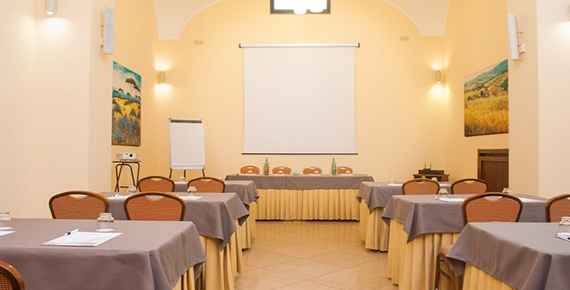 Meeting rooms for every occasion. 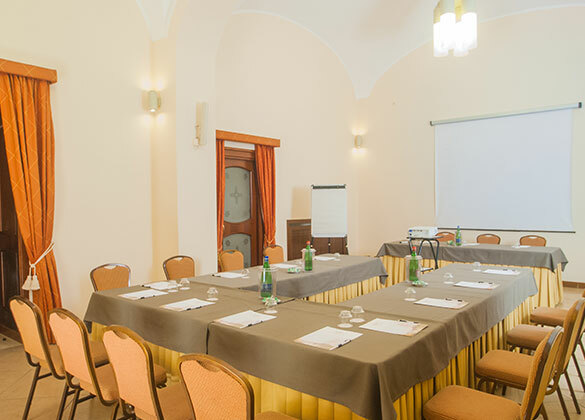 Six multi-functional meeting rooms with natural lighting, and Wi-Fi access, suitable for various types of conventions. 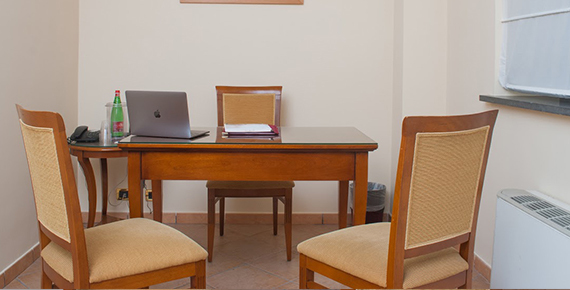 Choose the room arrangement according to your needs. 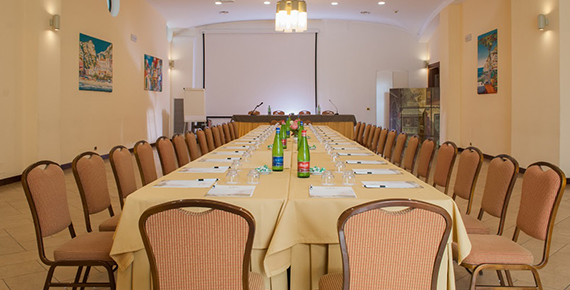 Thanks to its 6 multi-functional Meeting Rooms, Le Cheminée Business Hotel can be defined a true Convention Center. 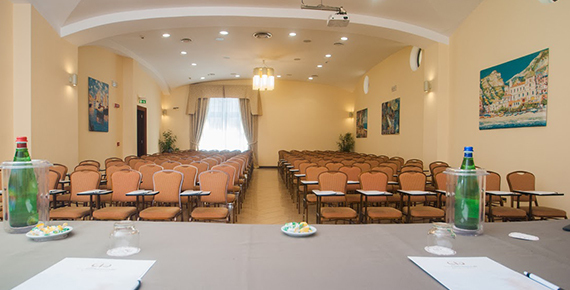 The hotel&apos;s Convention Center is suitable for all types of events, thanks to its versatile spaces, customizable to meet your every need. In addition to basic technical equipment, you&apos;ll be accompanied by a pre and post convention technical assistance service. 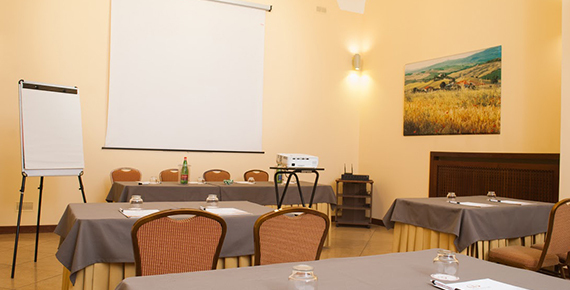 The rooms can be set up for videoconferences, with simultaneous translation services. 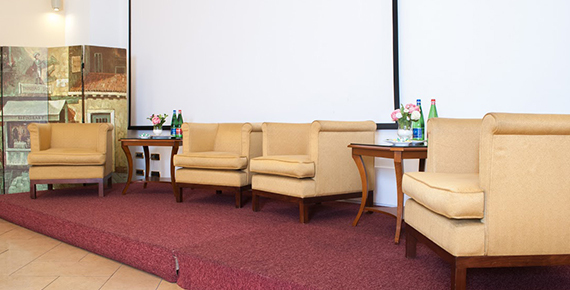 Conference spaces can be organized in different ways, following the specifications of your event&apos;s organizer. 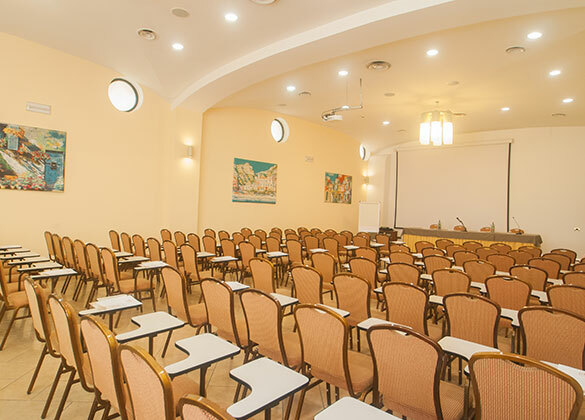 The rooms are located on the same floor, and all feature natural lighting. Some have direct access to the garden. 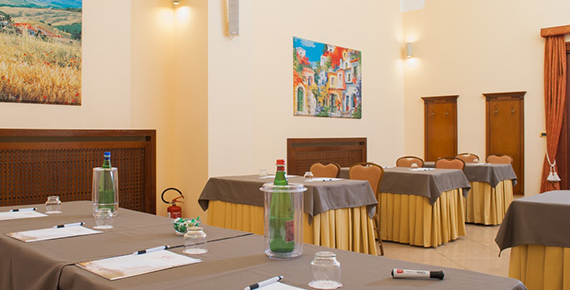 The Nisida, Procida and Ponza meeting rooms can be used either individually or as a single space: divided only by soundproof doors, they are ideal for companies that want to organize walk through events, such as tastings of typical products or small fairs. 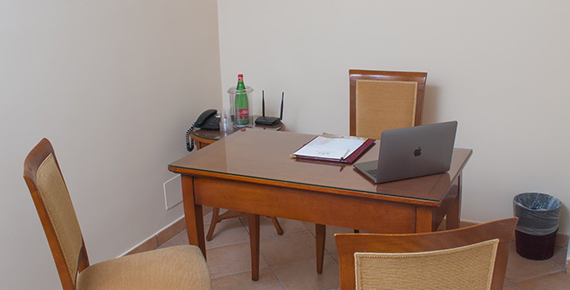 Not just business, but pleasant coffee breaks with Neapolitan espresso coffee and sweet and savoury snacks as well. Buffets, cocktails, breakfasts or business lunches, gala dinners and theme dinners. 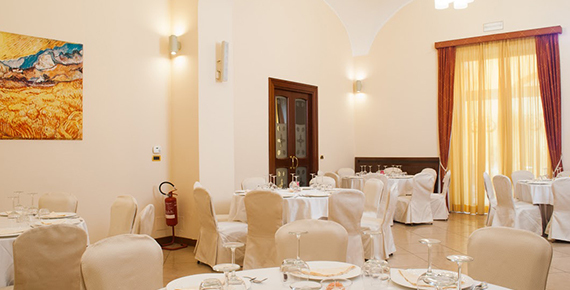 Book an event for every occasion, from musical entertainment to a typical Neapolitan cabaret. 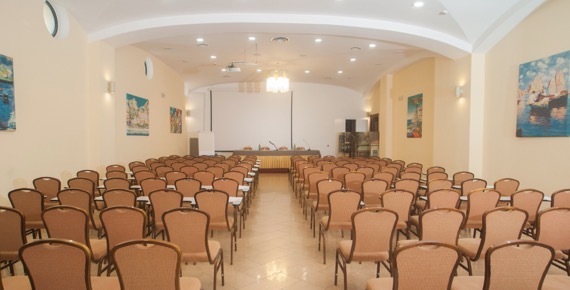 The Sala Capri takes its name from the azure island, extending over 180 sq m, with a capacity of up to 250 seats, arranged in an auditorium or theater formation. 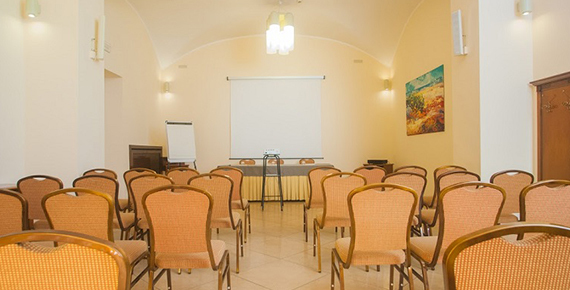 Featuring natural lighting, this room can host events such as meetings, fashion shows, different types of presentations and workshops. 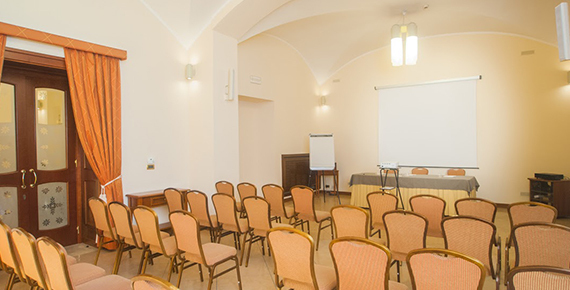 Dedicated to the green island, the primary feature of the Sala Ischia is its shape, which makes it an ideal location to organize exhibits, workshops or, more simply, parties during the winter season. 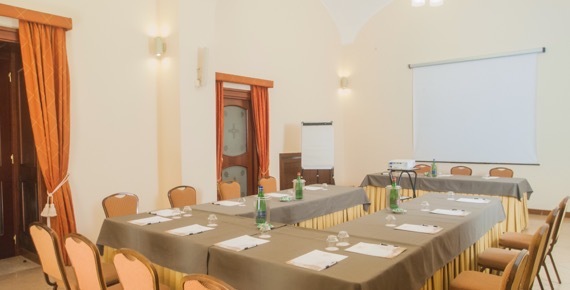 The Sala Procida measures 65 sq m, and depending on the needs of the meeting&apos;s organizer, can be set up in many different ways. It features natural lighting and an entrance from the Cloister. This room owes its name to the small island of Nisida, belonging to the Isole Flegree and linked to the mainland by a long, narrow pier. 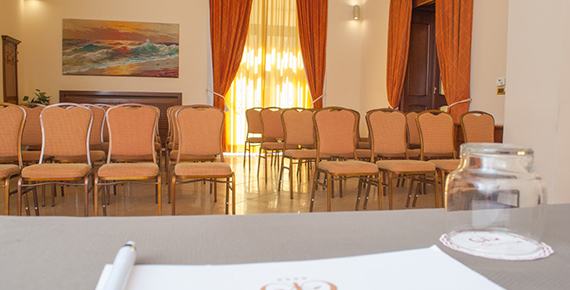 The Sala Nisida measures 65 sq m, and can be exploited as required to host meetings. It features natural lighting and an entrance from the Cloister. 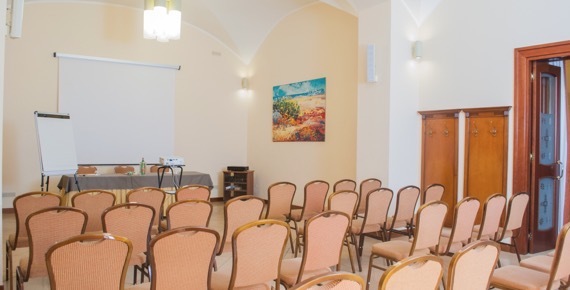 The Sala Ponza bears the name of the island of the Pontino Archipelago; covering a surface area of 65 sq m, it can host a variety of events and meetings. 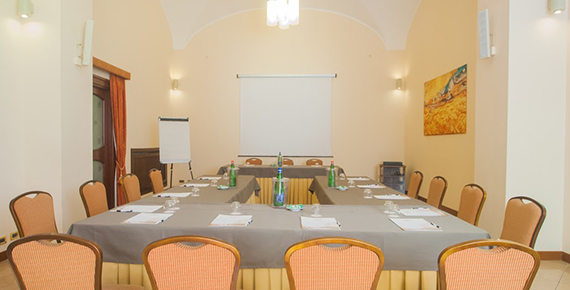 The Sala Vivara owes its name to the tiny half-moon shaped island linked to Procida which is home to a nature reserve. 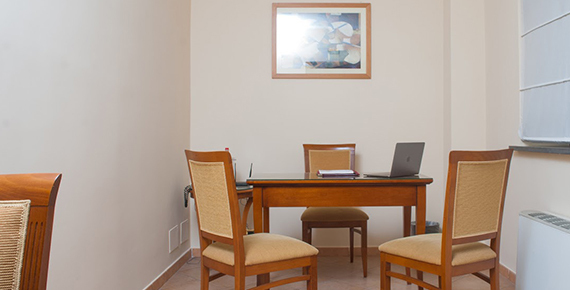 This room can host up to four guests, and is thus suited to encounters such as job interviews.